Box Inc. (BOX) is scheduled to report earnings results for the second quarter of 2019 on Tuesday after the market closes. Analysts predict the company to narrow its loss helped by revenue growth. The company’s number of paying customers is likely to remain pivotal for investors as this could pave way for revenue growth. 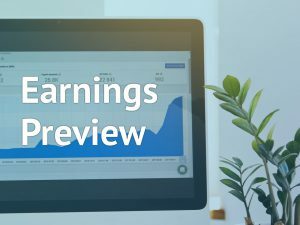 Analysts, on average, expect Box to report a loss of $0.06 per share for the quarter ending July 31 compared to a loss of $0.11 per share in the previous year quarter. Revenue is predicted to rise by 19.2% to $146.54 million. Most of the analysts are recommending a “strong buy” or “buy” rating with an average price target of $28.75. In the recently completed first-quarter, the cloud content management company shrunk its loss as higher billings aided the revenue to grow by 20%. During the quarter, the number of paying customers rose by 3,000 to about 85,000. The company expects its long-term growth to reach $1 billion and beyond. Broadening the large enterprise market penetration and higher product attach rates are continuing to aid the company in achieving the long-term growth goal. For the fiscal year 2019, Box had expected GAAP loss to be in the range of $1.07 to $1.04 per share and non-GAAP loss in the range of $0.19 to $0.16 per share. Revenue had been predicted to be in the range of $603 million to $608 million. Box’s revenues grew at a compound annual growth rate of 32% since going public in 2015. It is expected that marked customer base growth could aid in revenue to increase year-over-year for the second quarter. The company has benefited from its partnerships with major tech giants like Alphabet (GOOGL), Microsoft (MSFT), and IBM (IBM). Shares of Box had surged more than 36% in the past year and more than 25% year-to-date. However, the stock had dropped more than 2% in the past three months.